Unlike most of the other Dalmatian islands which were given to Yugoslavia after World War I despite being promised to Italy in the Treaty of London, the small Dalmatian island of Lagosta, which had been occupied by Italian troops since 1918, was formally acknowledged as Italian territory by the Treaty of Rapallo, signed in 1920 between Italy and the Kingdom of Serbs, Croats and Slovenes. 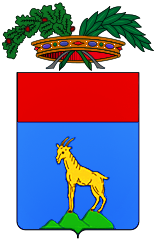 Lagosta thenceforth would belong to the Kingdom of Italy for the next thirty years, or thereabouts, forming part of the Province of Zara together with the islands of Cazza, Pelagosa and Saseno. According to the 1921 census, the island's population counted some 1400 inhabitants, of which 208 (about 15%) were Dalmatian Italians. 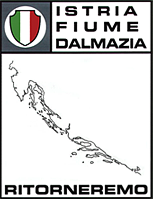 In the following years, several hundred other Dalmatian Italians – fleeing from the nearby Dalmatian territories which had been annexed to Yugoslavia – would settle on the island, so that by 1939 the Italian Dalmatian population had risen to 933 (38%). 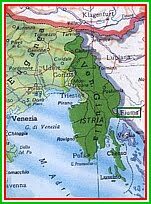 Many of them came from the nearby islands of Lissa, Curzola, Lesina, and from the Dalmatian city of Traù, which had been subject to Yugoslav rule since the Treaty of Rapallo. The Italo-Dalmatian refugees preferred to live under Italian administration, rather than face difficulties or potential persecution under the Yugoslavs. The island of Lagosta thus became their new home. The living standards of Lagosta improved significantly under the Kingdom of Italy. As in the rest of Italy during this period, many public works were initiated, and in 1939 the island reached its peak population with 2,458 inhabitants. A small fish farming industry was established in the village of San Pietro by fishermen from Puglia in 1941, aiding in the economic productivity of the island. 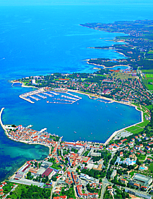 In August 1943 the island counted nearly 3000 inhabitants – including civilians and some military personnel – and was enjoying economic prosperity despite the ongoing war. The Italians numbered some 1500 people, or about half the island's population. The extermination of the Italian population began on September 14, 1943, when Josip Broz Tito's Yugoslav Partisans occupied the island. The ethnic cleansing initially took the form of forced expulsion. In September 1943 about 100 Italians were expelled from Lagosta. 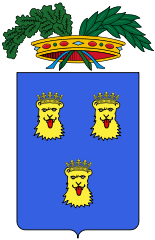 These consisted of Italian citizens who were resident in Lagosta, but who were not born on the island. Between October and December 1943, nearly 200 Italians were killed or disappeared. Tito's men began by killing the local governor Tomasin. 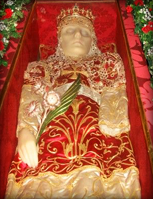 They continued the terror by murdering Don Nicola Fantela, a priest of the Diocese of Ragusa, on October 25, 1944; the Communist Partisans tied a stone around his neck and drowned him in the sea between Ragusa and Lagosta. Don Nicola Fantela was born on September 9, 1880 in Lagosta. 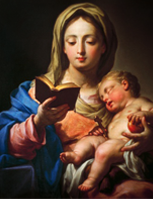 After studying in Ragusa and Zara, he entered the priesthood in Zara in 1904. 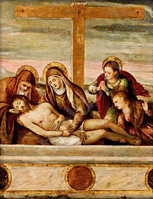 In September 1905 he became an assistant to the parish priest of Curzola. Later he served in Toppollo, Stagno Piccolo, Sarajevo and Sebenico. From 1930 to 1932 he was the parish priest and dean of Stagno. In 1934-1935 he was rector of San Biagio in Ragusa. After retiring as a military employee in 1935, he lived in Castelnuovo. In 1943 he happily returned to Lagosta, his native land. However, after only four months, on February 6, 1944, he was subject to interrogation by the Yugoslav Partisan Kommissar, during which time he was harshly tortured, disfigured and mutilated. He was transferred to the partisan boat PC-62 “Ivo” in the bay of San Michele, just north of Lagosta, where, on the night of February 7, 1944 (other sources say October 25, 1944), a stone was tied around his neck and he was was thrown into the sea. Aurora Corsano, a native of Lagosta, was shot to death on March 1, 1944 following a show trial by the Yugoslav Partisans. In 1944 and early 1945 the Yugoslavs conducted many such show trials and summary executions, murdering many Italians on the island and generally terrorizing the Dalmatian Italian population. Through these methods, they forced almost all of the Dalmatian Italians to completely abandon their homes by mid-1945. After World War II, Lagosta was annexed to Communist Yugoslavia – made official by the Paris Peace Treaties of 1947 – and its name was officially changed to Lastovo. In the same year the government proclaimed that only Yugoslav military personnel were permitted to live on the island. The few Dalmatian Italians who still remained – about 200 in number – were forced into exile. In the span of four years an entire population and ancient community was wiped out. Following the same fate as neighboring Lissa, the island of Lagosta became a Yugoslav militarized region immediately after the war, which led to economic stagnation and the depopulation of the island. This sealed the island's fate for the next several decades up to the present day. 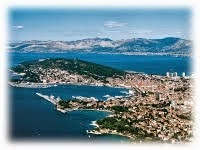 Today the island has only 792 inhabitants, almost all Croats. According to the 2011 census, the Italian community has been reduced to just five people. 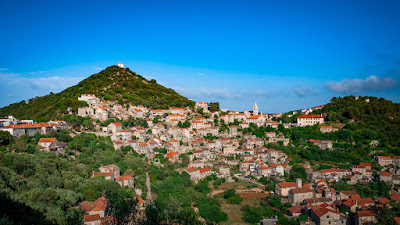 As a result of Yugoslav policy and the ethnic cleansing of the Dalmatian Italians – who comprised the productive element of the population – the island today remains one of the most impoverished and underdeveloped areas of southern Dalmatia.